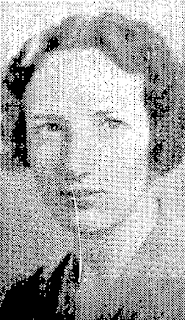 Fanny Ellsworth was one of the many uncredited women editors of the pulps who did an excellent job editing Ranch Romances - the longest running pulp that appeared from 1924 to 1971 - and Black Mask (the premier detective pulp that had the first print appearances of Dashiell Hammett and Raymond Chandler). This article originally appeared in the newspaper The Ogden Standard-Examiner, on March 26, 1941. The western story has been so long accustomed to being placed in a category of its own, that we're all a little in danger of forgetting that a good western story is first of all a good story. True, it is a regional story, a story of a special occupation, pretty much an outdoor story. Yet on the whole the things that can be said about fiction in general are also true of Western fiction. So we might start by asking what makes a good story. Mainly it's character. People want to read about other people with whom, for a short space of time, they can identify themselves, whose adventures they can share, whose troubles will arouse their sympathies, in whose victories they can glory. The writer's job is to create people who live and move—real folks in whose existence the reader can believe. Therefore the characters in a good western story won't be so very different from those in any other kind except outwardly. They may do different things but they will be moved by the same motives, react to the same stimuli. Cowboys and prospectors and ranchers’ daughters surely love and hate and fear and dare much as any other people. You may, because you are writing of frontier country, heighten their daring, accent their courage, but these characteristics will be aroused in them by the same springs of action that activate any other group of people. So make your hero first a person and then a cowboy, your villain a good ordinary everyday heel before you dub him rustler. Once you have a really believable set of characters, your plotting shouldn't be so hard a job. Everyone who has read many westerns knows that there are a lot of stock plots that have become too oft told talcs. Yet there are new angles to the western story plot. They come to "Ranch Romances" every day. Don't let yourself get in the frame of mind in which you decide there are only so many western plots and what's the use of trying to find a new one. It's true that the number of basic plots in all fields of fiction is limited, but the number of ways they can be varied is endless. A good character will help you in that. If you have created a real person, you'll find him reacting individually even to a stock situation and almost without realizing it, your story will have that difference editors crave. Then there are any number of other ways to achieve incident freshness in your western story. Perhaps you read an item in the paper the other day that you can use. Even if it’s not about the west, perhaps it could just as easily have happened to a rancher after your imagination has worked on it a while. There are any amount of ways to get new plot angles, once you get to ruminating about it. So now we've thought about character and plot we ought to put our minds on atmosphere. That is especially important in a western. It's atmosphere more than gunplay or fist fights that makes a story a western. And this is where the writer who lives in the west, who knows the ranch country, has the advantage over the fellow who sits in his city apartment and writes western fiction. The latter may turn out a good story, and often does. But the former, if he has looked about him and noticed the look of the country, will be able to give his story that almost indefinable characteristic of authenticity. You westerners know how a ranch house looks when you first glimpse it from a distance; you know from what kind of wood the corral poles are made; you know what happens to a man’s face, how his skin gets toughened, his eyes squint, when he's lived out of doors in all kinds of weather. Put such touches into your story. They will help transport your reader from his chair beside the radiator to the bunkhouse of the X bar O. There's another element that will have to do with determining the success of your story. How well do you write? Do you put thought on your dialogue—to make it sound natural without making it full of queerly spelled words that will take the reader's mind from the story? Do you remember such little things as having the girl say, conversationally. “I’d love to” instead of the stiffer “I would like to? " Are you writing as well as you can, or are you writing down to your audience? Don’t ever try that. It will not only harm your story but, if you persist, destroy your craftsmanship. But by writing as well as you can I don’t mean as formally as you can, but as smoothly, as naturally. In the pulp magazine world the western story has been divided into the romantic western and the Straight western. The main difference between them is, of course, that in one love interest plays an important part, while the other contains little or no boy and girl romance. The straight western will on the whole demand more action than the romantic western and will be told from a man's viewpoint. In the romantic western field the viewpoint may be either the man’s or the girl’s; the amount of action will vary. When people ask us how much action we must have in “Ranch Romances, ” we say as much or as little as the plot demands, if by action you mean fighting — fist fighting or gun fighting. If by action however, you mean the impact of people on each other, of incident on people, if by action you mean having things happen then we want plenty. In other words, romantic western stories should move along briskly, but you don’t you have to kill a man on every page —or even, on every other. Concerning her time as editor at BLACK MASK, when Joe Shaw was fired in 1936 she took over and made some interesting changes in the magazine. Under Shaw the magazine had become almost too hard boiled and lacked a sense of humor. 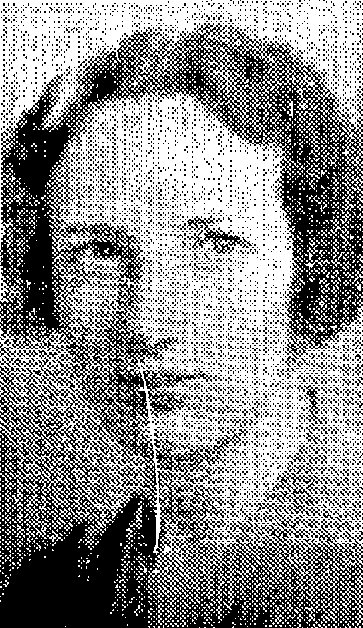 Fanny Ellsworth allowed humor and encouraged some writers that Shaw would not have published. Names like Cornell Woolrich and Frank Gruber. Unfortunately the cover design also changed with some terrible covers. The title was eventually sold to Popular Publications in 1940 and the new editor, Ken White, did a fine job in reviving the magazine. Thanks for sharing that. She was one of the better pulp editors, and yet today not many know her name or recognize the role she played. The prior publisher of Black Mask magazine agrees with you on her influence on Black Mask film noir in this article. Why am i not surprised? Anyone know when Fanny Ellsworth married, died, etc. ?